"Wonderful cattery. We haven't used anyone else since we discovered them a few years ago! As Derek and Morag are cat people like us, we can happily leave our three cats with them in the knowledge that they're being very well cared for. Derek takes great care of them, spends time with them, and we know that if any of them were to become unwell, he would spot it straightaway. The houses are beautifully clean and our cats are very at home when they go. The fact that there are several catteries a lot closer to us than Hillhouse says it all!" "My son recommended Hillhouse - and he is very careful about his cats. Our cat is also very approving, and we endorse her views, completely." 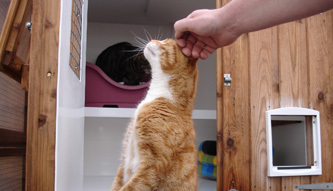 "Our cats have been boarded at Hillhouse Cattery annually over a period of eleven years, and we have been very pleased indeed with the care they received. 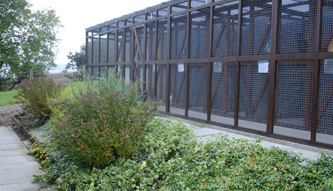 Their housing provides open air, space and shelter, and we are delighted to know that Derek and Morag are available if we go away for some time." 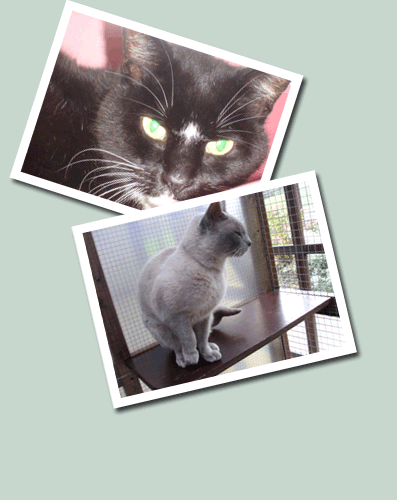 "I first used Hillhouse for my elderly cat Oscar who had never been in a cattery before. I had visited a number of catteries and Hillhouse was the only one that I felt comfortable leaving Oscar with. I was obviously nervous at his first visit but had no need to be, he had so obviously been very well cared for when I was away. Oscar stayed at Hillhouse on many occasions after that, despite my moving house and it being a 2 hour round trip, I would never have even considered putting him anywhere else. When Oscar died I got two kittens and they also go to Hillhouse and love it. They are very relaxed and happy boys when I get them back. Morag and Derek are two of the nicest people I have met and are real animal lovers. 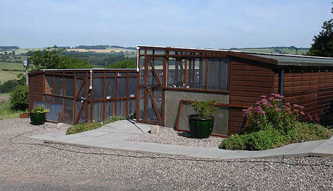 The cattery is spotless, the cats suites are spacious and comfortable and Hillhouse is in such a beautiful peaceful setting. I would not hesitate in recommending Hillhouse to anyone."